The Redwood Coast Energy Authority offers energy efficiency services for residential and non – residential facilities. Whether you lease or own, there are options to help reduce your energy consumption and costs. Submit an application today to schedule a no- cost, no -obligation appointment for energy assessment. You may be eligible for a variety of no – cost and reduced -cost upgrades, such as LED Lighting. Increase your bottom line by taking advantage of our energy services for your business or organization. No-obligation assessments, detailed reports, project management, and assistance with 0%-interest project financing on your utility bill are just some of the services we offer. Our energy assessments are provided at no-cost, and the final report includes available rebates and financing options for your specific project, including commercial LED lighting incentives. Participate as an outside contractor by scheduling a No-cost Assessment for your client before any work begins. Participating Contractors receive weekly bid announcements for LED lighting projects. Call today learn how to become a participating contractor. Looking for ways to bring down your energy bill? Interested in learning about what energy efficiency services are available in our community? Need advice for your next energy efficiency project or appliance upgrade? Give us a call and speak to an Energy Advisor. There is no charge, you just need to be an RCEA customer or PG&E customer. Call 707.269.1700 today! 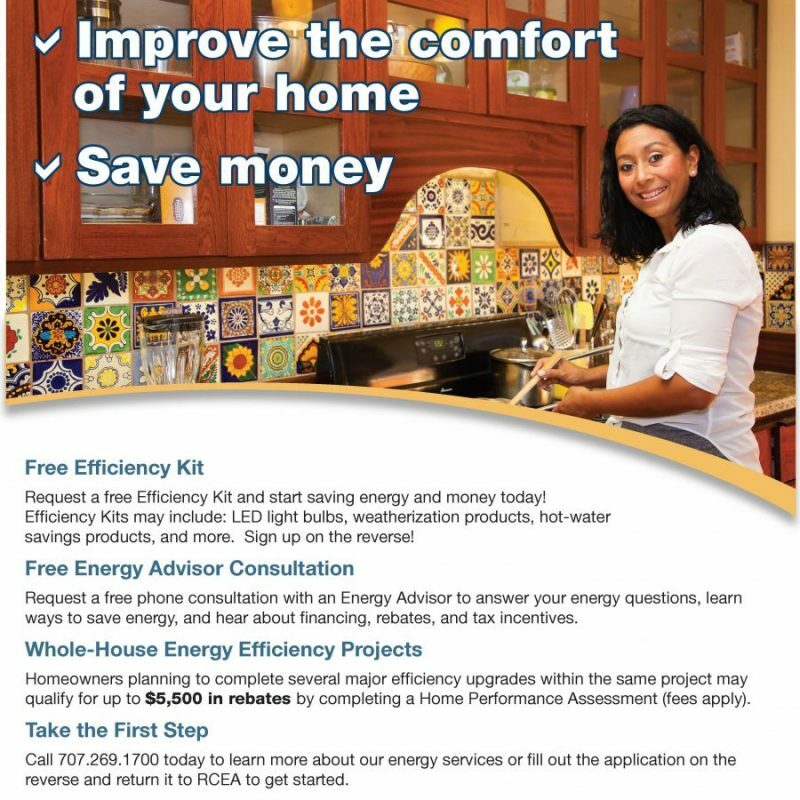 Redwood Coast Energy Authority is offering a free Efficiency Kit for your home valued up to $75. Your Energy Advisor will customize a kit for your home. Kits may include products such as LED light bulbs, smartstrips, showerheads, weather stripping, and more. Kits are available to RCEA customers and PG&E customers that have not received products from RCEA in the last 3 years. Fill out the application via the link below. The Home Upgrade Program offers up to $5500 in rebates for homeowners completing several major efficiency upgrades within the same project. Visit the Home Upgrade website for more information. Schools may take advantage of our energy services as well. 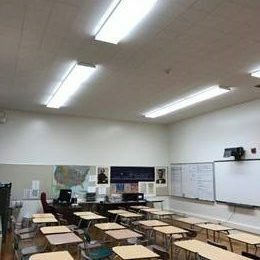 Proposition 39 allocates revenue to local education agencies to support energy efficiency and clean energy generation projects, along with related improvements and repairs that contribute to reduced operating costs and improved health and safety conditions in public schools. Learn more about how we are helping schools to access this state funding. GoGreen Financing can help with special lending solutions to upgrade your California home with the Residential Energy Efficiency Loan (REEL) program and CHEEF financing. PACE Financing is a program that allows property owners to borrow money in order to make energy efficiency and renewable energy upgrades to their property. The loan is then paid back as part of the property tax bill. Follow the above link for more information and to see a list of PACE programs in California, and specifically in Humboldt County. Stay tuned for the announcement of our next series of revamped homeowners workshops!